If you compared the direct mail you receive year-over-year, the evolution in content may surprise you. In fact, I bet the postcards in your mailbox today appeal to your interests better than last year’s mail. There is one simple reason for this: direct mail automation. Until recently, it just wasn’t feasible for marketers to send very effective direct mail. But today it’s as easy to mail a personalized, timely postcard as it is to send an email. This leaves just one question. When (and why) should marketers automate postcards instead of emails? Using the right channel at each stage of the customer lifecycle will help you improve response rates, increase ROI and realize the greatest brand impact. But before we dig into this, let’s get up-to-date on the modernization of direct mail. The traditional approach to direct mail marketing is to go to great lengths preparing a fairly generic broadcast mailer. Marketers would develop or (or ack! purchase) a list, create content, shop for a printer, run a massive batch of postcards and—finally—mail them out. This tedious and resource-intensive process made for a lot of poorly targeted junk mail, of which hopefully you’re receiving less and less. While the process was certainly sluggish and manual, many marketers still send a lot of mail this way because direct mail has historically high response rates. However, other marketers narrowed their focus to digital channels, finding direct mail cumbersome and outdated. At Inkit, we’ve worked hard to modernize direct mail, so marketers can send highly targeted, personalized and triggered postcards—efficiently and in real time. 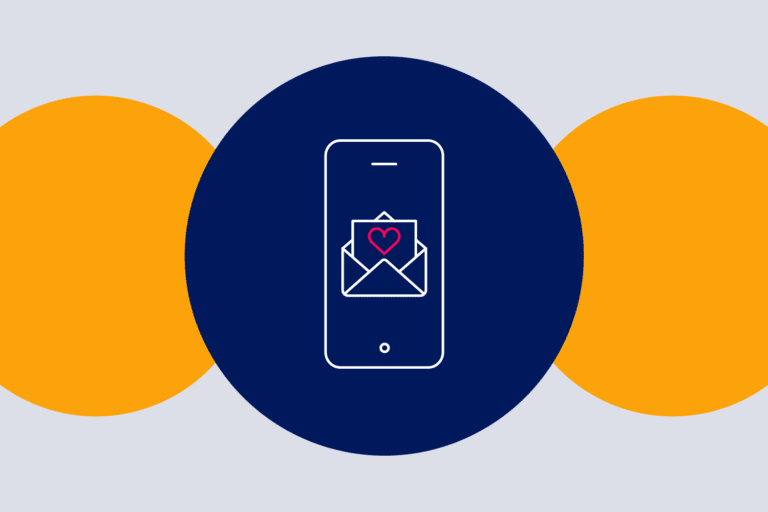 Many digital-first marketers are now turning to direct mail automation to achieve an omni-channel lift, taking advantage of new opportunities in dynamic personalization. When you use Inkit with Iterable, you can easily incorporate direct mail automation with the rest of your marketing efforts, running, measuring and optimizing campaigns on a truly omni-channel scale. If you’re not using Inkit yet, click here to try the direct mail automation software now. All you have to do is create your postcards in Inkit’s plug-and-play builder, and then trigger them from Iterable’s Workflow Studio. When it comes to winning the popularity contest, email still has it in the bag. It’s the less expensive and quicker way to send mail. 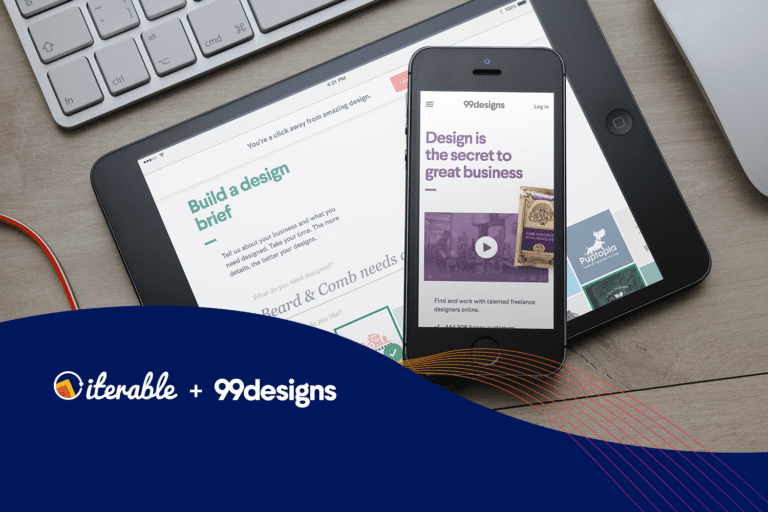 (With Inkit + Iterable, we’ve sped up almost every part of the direct mail process, but we’re not mailroom magicians. Sorry, you’re still going to have to wait 1-3 days for USPS!). Nonetheless, in the age of information overload, direct mail reigns supreme in several circumstances. 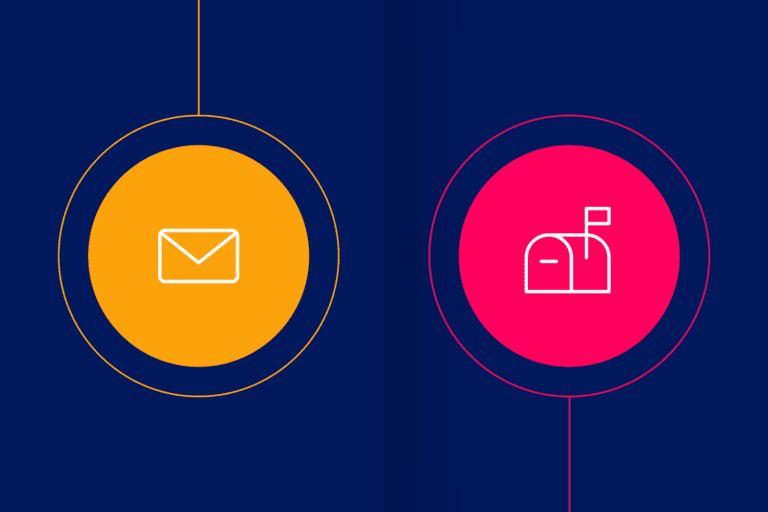 Here are three key opportunities to leverage direct mail in your omni-channel marketing plan. Those at the top of the decision-making chain (household and business) can be difficult to reach via email. Luckily, direct mail can reach almost anyone. Just about every consumer has a mailing address and reads mail on their own time. Most importantly, data shows that when direct mail reaches decision makers, it works. 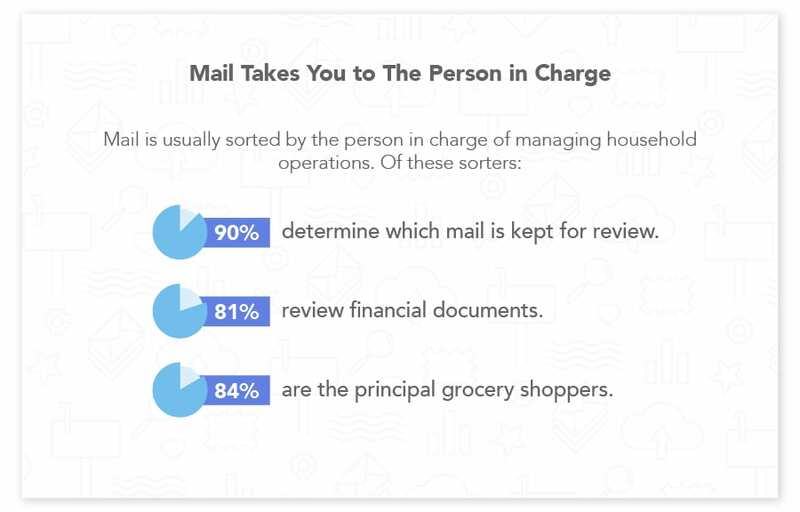 According to the United States Postal Service, 98 percent of consumers bring their mail in daily, and mail is usually sorted by the person in charge of household operations. Who opens the mail in your household? It’s probably whoever pays the bills. Direct mail is typically engaged by the financial decision makers. USPS also reports that consumers expect to receive business correspondence by mail. This one may surprise you. Many marketers rely on social media to reach this Internet-savvy demographic, but studies show millennials are adept at tuning out digital ads. Compared to previous generations, millennials are both more likely to read their mail and to trust it. Close to 90 percent of millennials actually enjoy reading direct mail, according to a USPS study, and the majority of millennials have even made purchases based on direct mail offers. Millennials value the direct mail experience. 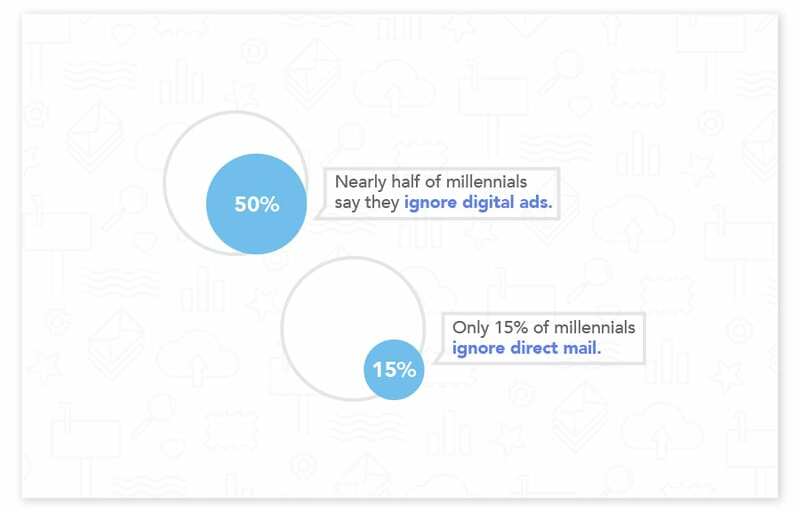 Keep in mind that all of your direct mailers should tie into digital campaigns, and this is even more important when you’re targeting millennials. Use QR codes and landing pages to bring engagement back online. Click here to learn how to design a direct mail campaign millennials will love. If you’re using Iterable, you should be able to respond to signs of disengagement pretty quickly. You may have email automations set up to send well-timed offers as soon as customers begin to defect. However, email win-back campaigns have an obvious flaw: they assume inactive customers are still active email subscribers. And, of course, some are. But others aren’t reading your emails anymore. And some may even mark your emails as spam. If email is the only tool you’re using for re-engagement, you’re losing customers. With Iterable + Inkit, when you no longer have access to a customer’s inbox, you can still show up in their mailbox. Direct mail automation is your secret weapon to re-engagement when email isn’t enough on its own. Learn how to add direct mail to your re-engagement sequence here. At Inkit, we’re all about capitalizing on the high response rates of direct mail (up to 30 times higher than digital channels combined on average). But we also know that email marketing is very powerful, especially when managed through Iterable’s omni-channel platform. Here are three situations where you should trigger email before direct mail. You can now truly send physical mail as easily as email, but it’s going to cost you. Direct mail is a tangible asset you have to have printed and stamped. We’ve cut out the middlemen and negotiated the best prices, but direct mail just isn’t as cheap as email, and there is no way around that. This is why we recommend email when you’re in the testing phase of any campaign. When you’re honing your audience and tweaking offers, do so with email. By proving your concept via email before investing in direct mail, you can all but guarantee a strong return on your direct mail investment. Pro Tip: If you have an email offer that performs well but you are struggling with open rates, try moving the campaign to direct mail. This is a test that shows your messaging is strong but the medium isn’t right for your audience. 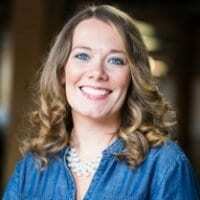 When creating an abandoned cart strategy, timing is key. You can trigger direct mail for shopping cart abandonment—and in some cases, you should—but your postcard isn’t going to make it to the consumer immediately. 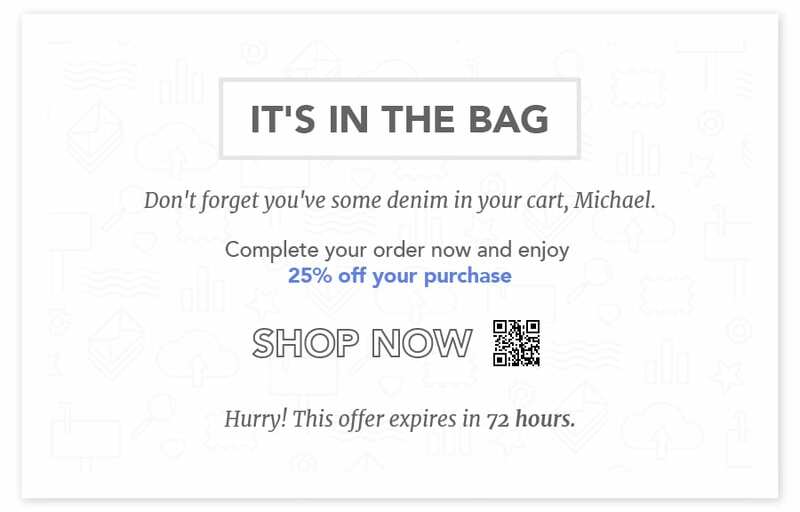 Because urgency is one of the most important elements in abandoned cart messaging, you’ll want to trigger an email soon after a customer leaves your site to reach them at the most opportune time. While email should be your first and primary line of defense against shopping cart abandonment, you can tackle this campaign across channels. Consider sending a series of email reminders promoting a limited-time offer to checkout, combined with retargeting ads and, ultimately, a final offer via postcard. By putting the postcard at the end of your sequence, you will save money by sending direct mail only to those who failed to act on your emails. You might even limit the postcard audience to your warmest leads, such as consumers who clicked back into their cart from an email only to abandon it a second time. Pro tip: Your shopping cart abandonment postcards should be highly personalized, just like your emails. Include the consumer’s name, what they’ve left in their cart, a specialized discount code and a custom QR code to take them right back to their shopping cart. Ideally, your marketing team plans ahead and you’re always on your game. This means you’re never left scrambling to meet this month’s numbers at the last minute, right? Fire drill marketing mayhem happens to the best of us, and when it does email is your best friend. Emails allow you to promote, iterate, and follow-up as soon as you can think of an idea. And sometimes, the truth is you’ve got to work very fast. But don’t forget that direct mail can add a personal touch email lacks. With a fire drill promotion or any marketing sequence, consider whether there is a touchpoint that could use something extra to make consumers feel special. Pro tip: If you’re putting together an end-of-month webinar and you would normally send a thank you email to attendees, try a customized thank you postcard instead. Direct mail automation “changes the channel” from digital to print. If it’s been awhile since you’ve worked on direct mail campaigns, it may be time to take another look at the channel. Evaluate where your customer lifecycle lacks a personal touch or an inroad. This is where postcard automations can provide a lift to omnichannel workflows. With Iterable + Inkit, you can power consistent messaging and branding online and off, creating effective, modern buyer journeys at scale.